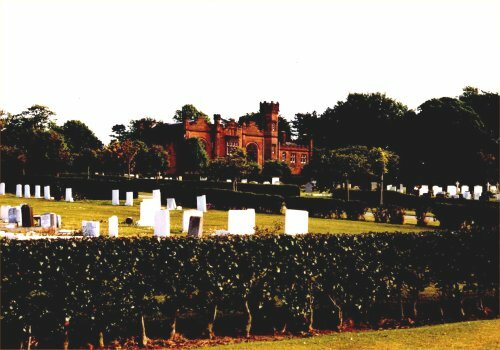 Royden is a familiar name to many Wirral folk, not least those of Frankby, where the village is dominated by two halls and their contrasting surroundings. 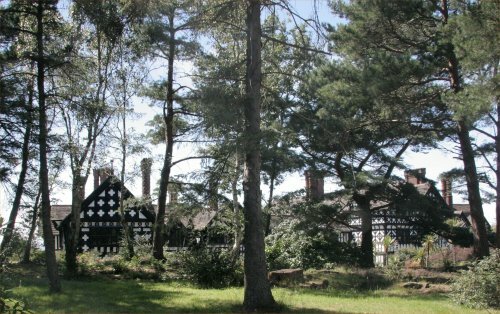 Many visitors to Royden Park and Frankby Hall may have wondered about their origins, how the buildings came into present ownership and what became of the families who once resided there. Their histories are closely linked and begins with an ordinary labouring family who, taking advantage of Liverpool's growth at the flowering of industrialisation at the turn of the eighteenth century, became successful in trade, enterprise, public office, not to mention the suffrage movement. This was for the new seating plan (or 'table') for the parishioners, commissioned in 1789. Thomas stayed in Frankby until his father retired, whereupon he made a decision which would change the fortune of his family. Liverpool was a tempting place for tradesmen at the turn of the eighteenth century with the port developing at an astonishing rate; dreams of wealth and prosperity beckoned many to seek their fortune. In 1808 Thomas moved to Liverpool and secured employment as a master carpenter with Charles Grayson, a prominent shipbuilding firm. There was a brief lull in trade and shipbuilding during the period of his employment, mainly due to trade restrictions resulting from the wars with France and America, but by 1818 Thomas was confident enough to set up his own yard to capitalise on the consequent resurgence. The site was Baffin Street on the west side of Queens Dock, and Thomas lived nearby in Harrington Street. The business grew steadily and despite a devastating fire in 1825, success continued while several other shipyards folded around him. 1825 also saw his marriage to Ann Dean, step-daughter of Thomas Bland of Bland, Chaloner Co, another established Liverpool shipbuilder. Two views of the Baffin Street yard and slipway of Thomas Royden and Sons, Liverpool. Above, Baffin Street can be made out directly above the two slipways in the centre, (detail from Ackermann’s View of Liverpool from the South West, 1847). 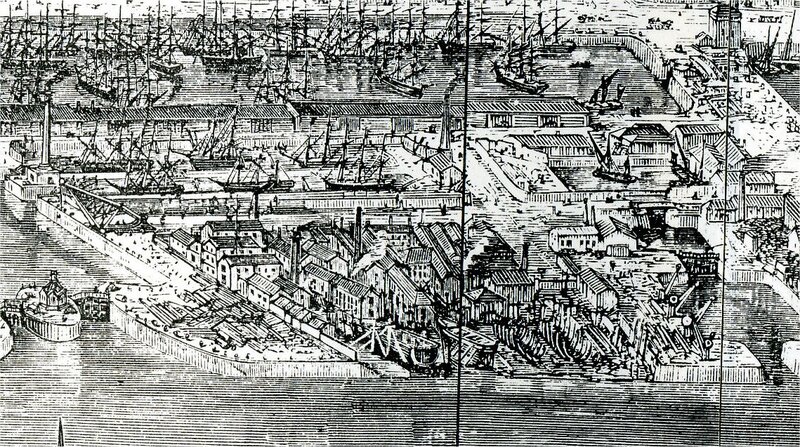 Below, the shipyard and cradles in the centre shows the same site (extract from a broad panorama of Liverpool of 1865). Most of the shipbuilding yards were situated along the foreshore to the south of the town in rather cramped conditions. Building wooden ships was the job of skilled craftsmen, usually working in small yards with minimal capital and equipment. 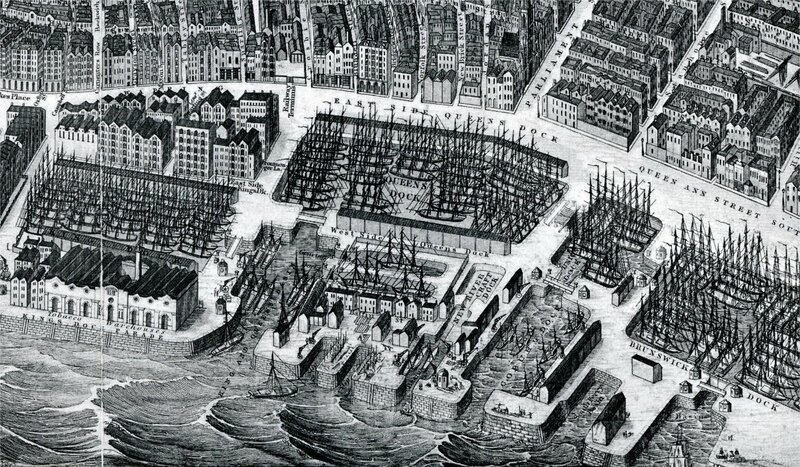 Although the yards were paying dues to the Town Council, they were taking up space that many thought could be better utilised within the dock expansion programme. As a consequence, leases tended to be short, offering little stability in security of tenure. High rents were the norm given the geographical position, and shipbuilders were moved about without compensation. When the shipyard sites they occupied were finally required for dock extension, the tenants were turned out without compunction by the Town Council, often resulting in the closing of business. In 1850 the shipyards on the Liverpool side of the Mersey were situated to the west of Queen’s Dock (Baffin Street)/southwards to Aetna Street and also to the westward of the Brunswick Graving Docks/southwards to the Brunswick half-tide dock. The four principal shipyards in the Baffin Street area were, from north to south, Thomas Royden, Joseph Steel, & Co., T& R Clarke and P.Chaloner & Son. Clarke’s’ yard had no river frontage and had no alternative but to launch vessels into the nearby dock basin creating difficulties and dangers for those concerned. By the mid-nineteenth century, there were fifty-five shipbuilders listed in the port. Only sixteen appeared to have the capacity to actually build ships, while ten were 'boat-builders' and the rest ship repairers. In 1849 only six of the sixteen yards built ships. Ocean-going cargo vessels numbered five, one a sail pilot cutter and six were paddle steamers. Two of those vessels in that year originated from the yard of Thomas Royden and Sons. By the 1830's, Royden's yard was rated as one of the leading builders on the Mersey. But by the mid-nineteenth century, decline in local shipbuilding had already set in and in 1850 the Liverpool Shipbuilding Inquiry was formed to investigate the root causes. Not unexpectedly, it determined that local shipbuilders were unable to fight outside competition due to high rents, lack of space, lack of tenure and high wage costs. In the evidence it was also stated that one of the principal causes for driving shipbuilding out of Liverpool was the fact that there was a lack of control over the workforce as the employers were restricted to using public graving docks. Furthermore, Thomas Royden declared in evidence that it was not possible to build more than two ships at a time in his yard due to want of space. This lack of space he said, necessitated timber being piled six or eight feet high, and when a particular piece was wanted from the pile, they were often obliged to get the men to remove the whole stack. With adequate space, timber could be spread out. Rents and taxes, he said, were very high and the mode of moving shipbuilders at six months notice was so disheartening that they could not consider renting a yard. Despite many of the drawbacks raised at the inquiry being recorded in the report of the Special Committee, little was acted upon and shipbuilding gradually declined. Nevertheless, Royden and Sons decided to battle on in the face of insurmountable odds, surprisingly lasting until the end of the century. Meanwhile, in 1842 Thomas Royden was elected to the Town Council for Great George Ward and also to the Dock Committee in the same year. In 1851 he was elected for North Toxteth Ward. 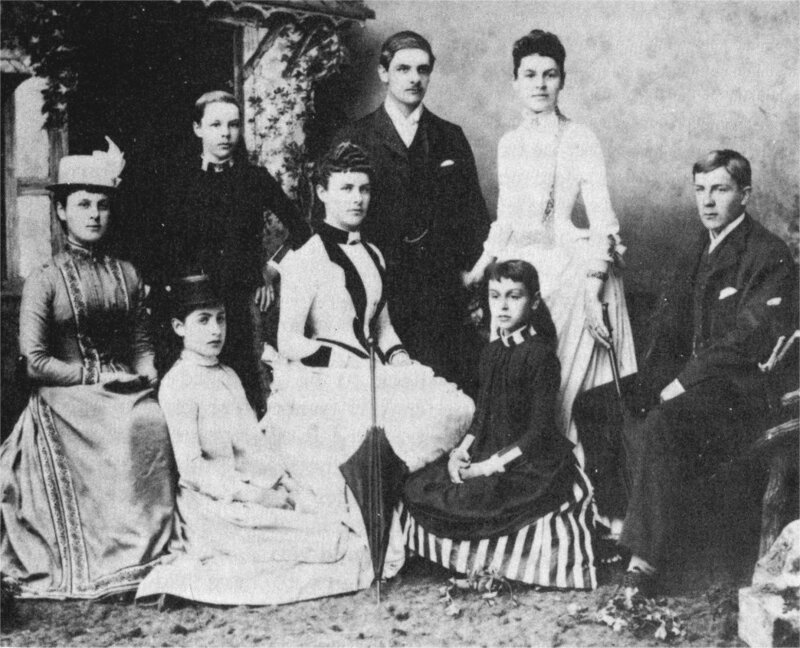 The children of Sir Thomas Bland Royden: Thomas Royden (centre), Ernest (right), Maude (2nd from right) with sisters Nancy, Martha, Catherine, Mabel, Mary. Although his brothers and cousins had also come to live and work in Liverpool, Thomas' roots were still firmly in Frankby, and as it was fashionable in his day for entrepreneurs of his standing to reside (and invest) in an impressive family seat, where better to build it but on the unspoilt land formerly tenanted by his family and farming relatives. Some of the land had been purchased by his father Joseph in 1801 from Gwyllyn Lloyd Wardle and was formerly of the Rathbone Estate, but Thomas gradually secured parcels of land surrounding this until his estate was complete. On this land Frankby Hall was erected in 1847, a unique sandstone structure, with its distinctive castellated turrets. Thomas and Ann had six children (of which two died in infancy). Daughter Martha married John Hays Wilson of Lea Hall, Gateacre (Head of Liverpool Water Office), while their second daughter Ann Dean remained unmarried and lived at Forton Hey adjacent to Frankby Hall. His two sons, Thomas Bland and Joseph, after an education at Liverpool College, were taken into partnership into the renamed ‘Thomas Royden and Sons'. In the early 1860s, Thomas Bland Royden, not wanting to be left behind in the revolutionary changes taking place in the industry, struck a deal to build the yard's first iron ships. In 1863 the yard launched the first of these vessels, the Silvia, but the acceptance of the order caused Thomas senior to leave the yard and retire to Frankby. Clearly a traditionalist who had spent his whole life working with timber, he could not face the major transition the yard would have to go through, and felt it was a timely moment to hand over the reins to Thomas and Joseph. Thomas senior never returned to the yard and he died at Frankby Hall in 1868. Thomas and Joseph Royden had already begun to expand the yard in 1854 when they acquired the lease of an adjoining yard belonging to Peter Chaloner & Son. This effectively doubled their yard space and gave them two additional slipways which could take vessels up to 420 feet in length. Production soon increased as a result. Up to 1866 the highest number of vessels constructed in any one year was six, by 1867 it had increased to ten, 1868 to fourteen, in with twelve in 1869, it amounted to thirty-six ships in three years. Their list of patrons included Thomas Ismay, Frederick Leyland, Alfred Holt, the African Steam Ship Company, the West India and Pacific Line and even the Emperor of Brazil. There’s no doubt however that Thomas B. Royden was less than confident about the longevity of the shipbuilding trade as they had also gone into ship ownership and management. 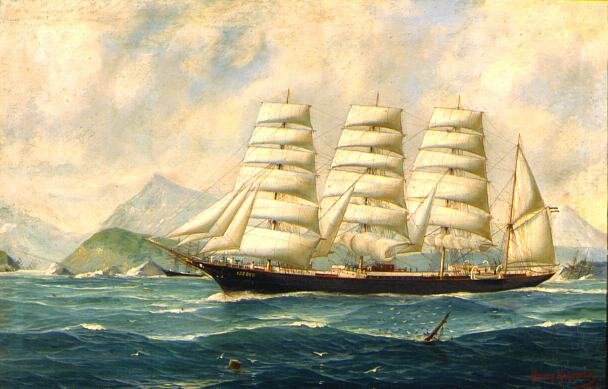 An iron clipper of 2519 tons, launched in November 1886, built for W. Price & Co. She lost her mast off Cape Horn following a storm in 1887 and spent seven months under repair in Port Stanley in the Falkland Islands. She then had a further twelve years as a barque after being re-rigged in 1893, before being lost at Cape Furneaux, Staten Island , New York in June 1905. A steel barque of 2,400 tons built in 1892 for Peel and George McCallister & Sons, Liverpool. 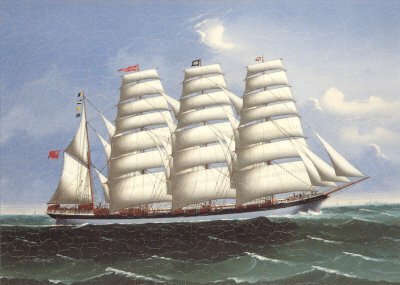 In 1903 she was purchased by W. Thomas, Sons & Co. Liverpool, then in 1911 by Knohr & Burchard, Hamburg and renamed Isabel. In 1921 she was obtained by the French government (part of WW1 reparations?) and sold in 1924 to Gonzalez Soffia & Co., Valparaiso, who renamed her Maria. She was wrecked in January 1926 off Chanaral Island, Chile. Towards the end of the nineteenth century the only shipyards remaining on the east side of the Mersey were Thomas Royden & Sons, R & J Evans & Co. W. H. Potter & Sons, and John Jones & Sons. In 1893 Roydens launched their last vessel, the steel barque Prince Robert (2846 tons), the 262nd vessel to be built at the yard. Their activities had started in era of sails of ships and wood, passed through that of iron, and onto the steel steamships. So ended a shipbuilding firm well known and highly respected throughout the country. By 1899 shipbuilding on the Liverpool shore was completely extinct. Thomas B. Royden was encouraged to follow in his father's footsteps and to enter politics. 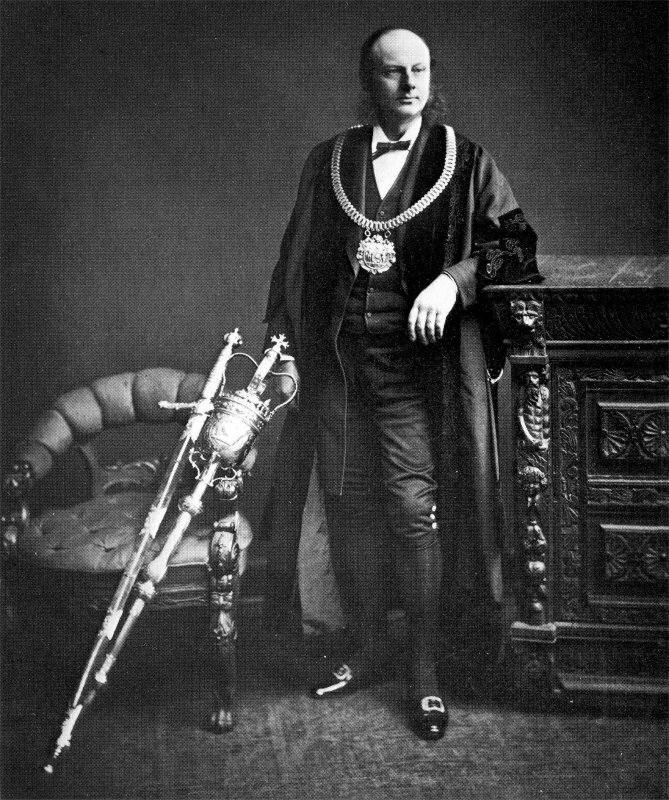 He rose to greater heights, becoming Tory MP for Toxteth in 1873, a JP in 1874, and Lord Mayor of Liverpool 1878-79. In 1905 he became a Baronet in recognition of his concerns for marine insurance and the safety of ships at sea (he later agitated for the introduction of the Plimsoll Line). 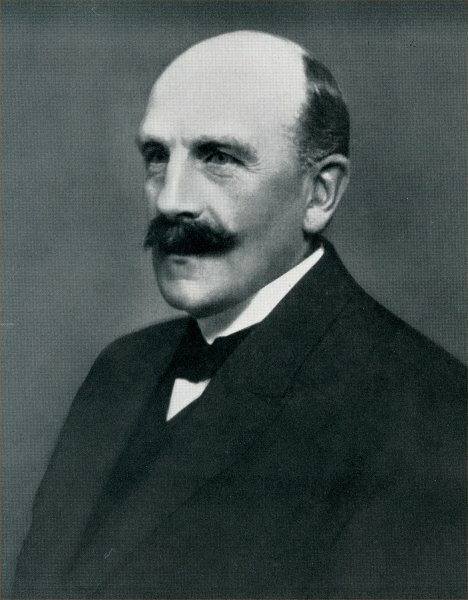 Sir Thomas Bland Royden died in 1917. The social change in the family was well established when Thomas B. Royden’s eldest son (also named Thomas) was packed off to Winchester College, and later Magdalen College, Oxford. Thomas would later head Cunard Line as its Chairman, as well as sitting on the board for Midland Bank and Shell Transport. He also held the office of High Sheriff and became a Baron in his own right in 1944, although this became extinct when he died in 1950 without an heir. Agnes Maude Royden, the third of Thomas B. Royden’s children included here was born in the family’s Liverpool home at Holmefield House in Mossley Hill in 1876. Known to all as Maude, she was educated at Cheltenham Ladies' College and Lady Margaret Hall, Oxford. After working in the Victoria Women’s Settlement in Liverpool, she became a lecturer in English Literature in the growing university extension movement. But this was a time of suffrage and Maude became increasingly involved in the campaign. In 1909 she was elected to the executive committee of the National Union of Women's Suffrage Societies and edited the Union’s newspaper, the Common Cause, as well giving regular speeches to organised gatherings. A pacifist throughout her life, she was elected Vice-President of the Women's International League for Peace and Freedom in 1915. By now her fame (and notoriety to many of her male critics) was spreading and Maude became even more well known as a speaker on social and religious subjects. 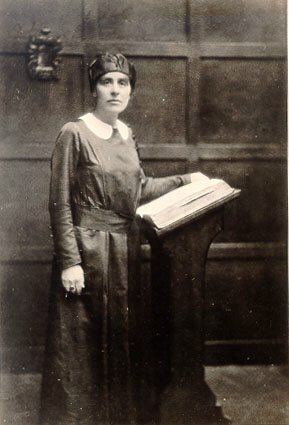 In 1917 she became assistant preacher at the City Temple in London, the first woman to occupy this office. Dr. Agnes Maude Royden C.H. In the 1920s her interest shifted to the role of women in the Church. In 1929 she began the official campaign for the ordination of women when she founded the Society for the Ministry of Women. She was the first woman to preach in Liverpool’s Anglican Cathedral, but prior to that she had courted controversy yet again on her worldwide preaching tours, frequently being banned by the male local religious leaders. In 1931, she became the first woman to become Doctor of Divinity. She continued to campaign tirelessly for pacifism during the troubled 1930s, but even Maude had to temporarily renounce it in 1939, believing Nazism to be a greater evil than war. Both Maude and her brother Thomas were made Companions of Honour, Thomas in 1919 (for his work relating to the safety of shipping in the First World War) and Maude in 1929. Only 65 recipients can hold office at one time and they are the only siblings to do so. In 1944, she married the recently widowed Reverend Hudson Shaw after the death of his wife Effie. All three had been very close friends for over forty years. By then Maude was sixty-eight and Hudson eighty-five. (She had loved him from when they first met - a story she movingly told in Threefold Chord three years after his death). Maude died in 1956 leaving a legacy of philosophical and religious teachings and was an inspiration for many who were to follow in her footsteps. While on a speaking tour in Australia in 1928 the Sydney press referred to her as ‘the really famous Maude Royden, England’s first woman preacher and described by one considerable person as England’s greatest woman’. A fitting epitaph. When her older brother Sir Thomas Royden, 2nd Baronet, left Frankby in the mid 1930's to retire in Hampshire, (his wife's home), Frankby Hall and land was sold to Wallasey Corporation and the cemetery for which it was intended was completed in 1940, the Hall becoming a chapel. He was succeeded in 1950 by his younger brother Sir Ernest Bland Royden, 3rd Baronet, High Sheriff of Anglesey. Sir Ernest married Rachel, daughter of Jerome Smith of the neighbouring Frankby estate of Hillbark in 1901. 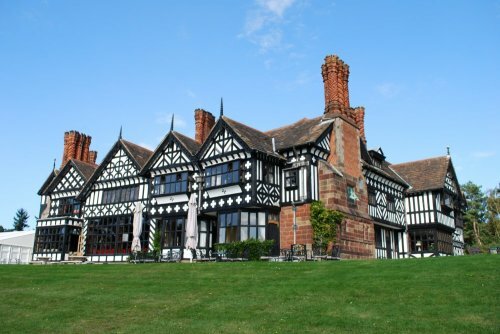 They took up residence at Bidston Court in Noctorum, Birkenhead, a black and white, half timbered, mock Elizabethan mansion, heavily influenced by Little Moreton Hall in design and erected by Robert Hudson, the soap manufacturer, in 1891. When Hillbark came into the possession of Lady Royden on the death of her mother, it was decided to move back home. 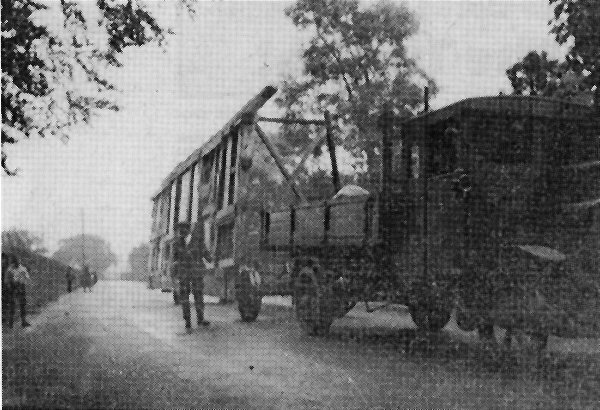 But Sir Ernest couldn’t bear to leave his house, so they decided to take it with them. Every brick and every piece of wood was numbered and the complete house was dismantled, roaded to Hillbark and re-erected on its present site in Royden Park (the original Hillbark having been demolished to make way). This massive undertaking took two years to complete. A visit to the house and its surroundings today will dispel any doubts of Sir Ernest’s sanity, as its site is surely unrivalled by any other in Wirral. 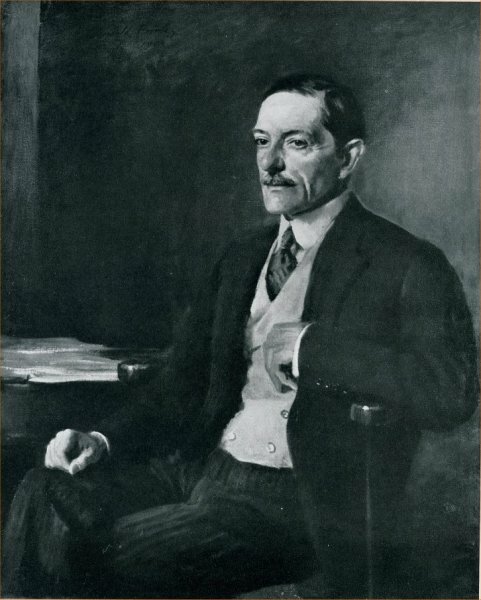 Sir Ernest Bland Royden died in 1960. By then business interests had diversified among the family offspring, many of them moving south, although the Royden shipping line (the Indra Line) operated in Liverpool until 1952. Ernest’s eldest son, John Ledward Royden, having a business in London and a home in Battle, Sussex and no further interests in Frankby, sold Hillbark and land to Hoylake UDC, who reopened the house as a home for the elderly and the grounds as a public park. 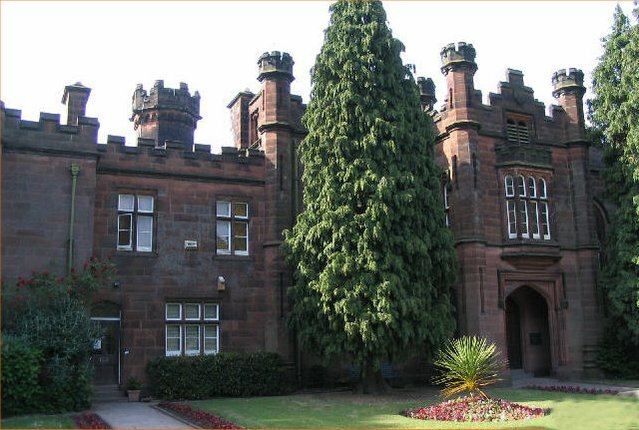 Following the closure of the facility in the 1990s, Hillbark was converted into a fully modernised hotel, while still retaining much of its character both inside and out. Forton Hey saw the passing of the last remaining member of Thomas Royden's illustrious family living in the Wirral, when Mary Royden, sister of Sir Ernest, died in 1960. She was buried in the family vault at Frankby Church, another local building owing its origins to the family. (Forton Hey is now the residence of a local pop star and producer of Atomic Kitten). Nevertheless, the Royden family is still well represented in the area, being the largest concentration of the name in the United Kingdom by a long way. All are descended from the aforementioned Alexander Royden of Chester, all are related to the Royden’s of Frankby, and hot off the press, it seems from recent DNA testing that all in the male line are descended from a local Viking. 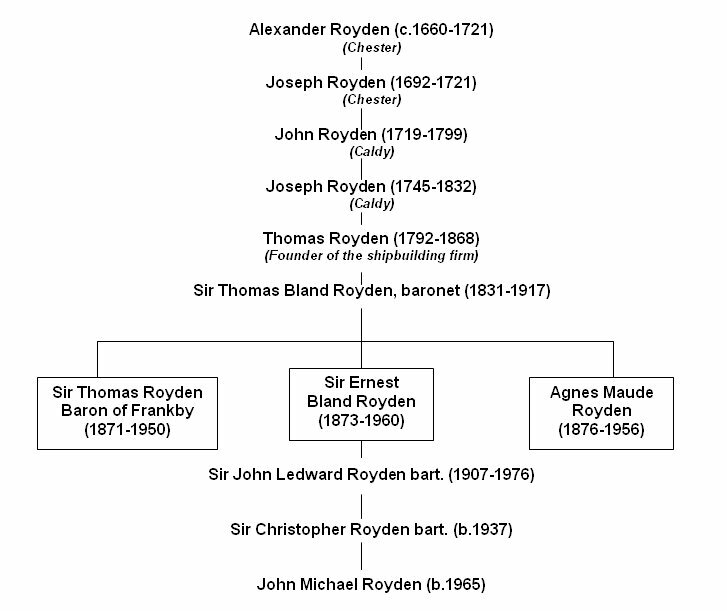 Roydens can claim to be one of the oldest families in the Wirral. We have lived in these parts for some time. To return to Thomas Royden, founder of the shipyard, his family were typical of the entrepreneurs in the time of industrial revolution; local tradesmen made good, elevated to new social standing, investment in stately home and estate, involvement in politics, the conference of lordship and high office, plus the isolation of the immediate family from the rest of the lower class relations. Indeed, such a contrast between Sir Ernest Bland Royden and his 3rd cousin, John Royden, both men great-grandsons of John the Carpenter. Sir Ernest died at Hillbark, John in the Toxteth workhouse infirmary. (Co-incidentally, I would later be born there - not Hillbark unfortunately, but the infirmary – by then Sefton General Maternity hospital). Yet, this family have left a legacy which can still be enjoyed by all, from the leisure time to be had in Royden Park, to the enjoyment of a meal and refreshment in Hillbark, then, once you shuffle off this mortal coil, to finally reside in the quiet surroundings around Frankby Hall.